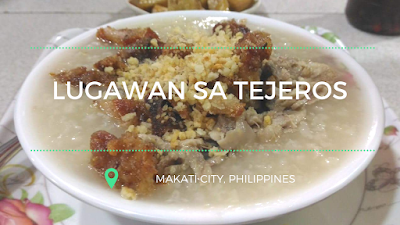 Whether you visit Lugawan sa Tejeros during breakfast, lunch, merienda, dinner, or midnight snack time or when are visiting to cure your hangover, you won’t find a time when nobody is eating their favorite lugaw in this establishment. It is not famed for nothing. Make sure you are patient while ordering as queue is expected. LST is open 24/7. Two things are special about this restaurant: price and lechon kawali. 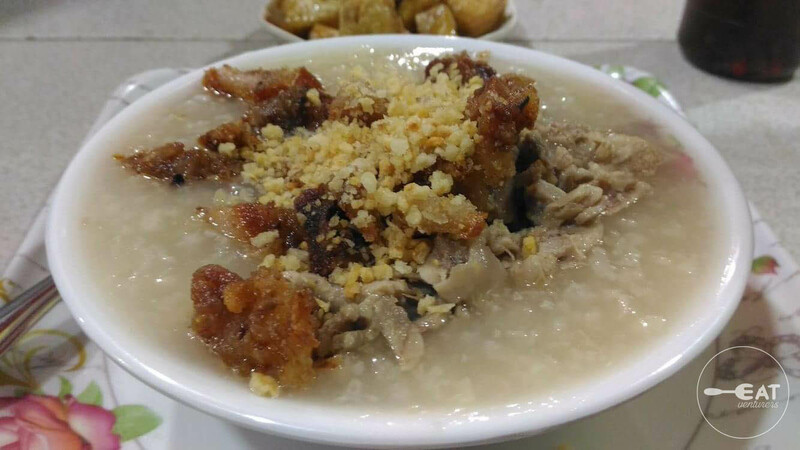 LST claims it is the "home of the original lugaw with lechon kawali." 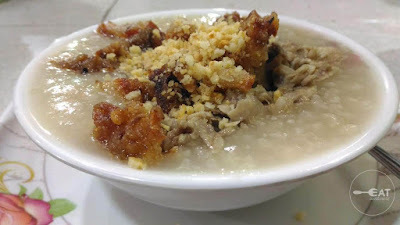 For a plain bowl of lugaw, it only costs P15. The lugaw isn’t too watery. You can however, order the plain lugaw and goto partnered with other toppings such as lugaw, lechon kawali, egg and tokwa at baboy. Nothing above P50 for their toppings while the goto and logo combo is priced at P25 to P50. The Eatventurers’ regular order is L3, or lugaw with lechon kawali worth P30. The lechon kawali is cooked well, carinderia-style. We always crave for it. It has the right amount of saltiness, similar to chicharon. As we are writing this, our mouths are already watering. You can add spring onions, pepper, garlic or chili powder depending on your preference. LST also offers palabok and mami (P35 each) as well as lumpiang togue which only costs P12. We cannot emphasize enough that Lugawan sa Tejeros is one of our favorite dining spots in Makati. However, the last time we visited we were a little bit disappointed. The plates have that soap dish smell, the lugaw was watery, the lechon kawali serving was very little. As it is only the first time we’ve experienced it, it didn’t affect our rating and for us it is the best lugaw in town. With a severe tropical storm affecting the country and PAGASA announcing that there'd be colder days ahead, surely, LST will keep you safe and warm. It is your go-to comfort food for #bedweather. 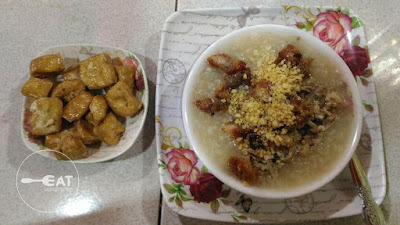 I dint know that rice porridge is also known as lagaw and Eatventures serves best lagaw in the town.I know its basically for patients but I am so happy to know about it.